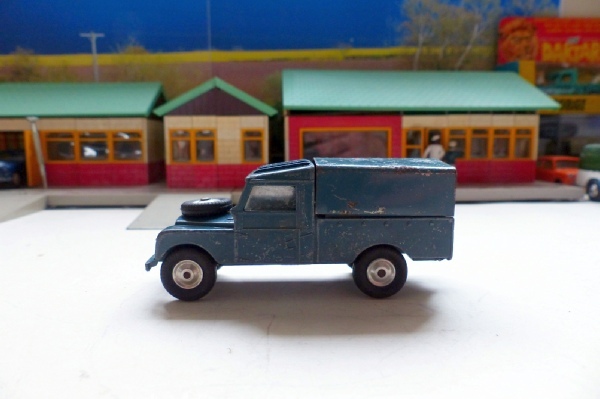 This is a nice example of the RAF Land Rover in good condition but missing some decals. The paintwork is good, some paint loss but it doesn’t show as the base metal is a similar colour. It has shaped fixed wheels which I don’t think I have seen on one of these before. The canopy is tin and the original navy colour one but it has rusted quite a lot and is rather bent. A nice model none the less and with a better canopy would be a excellent item for any collection. This was acquired for a collector friend in Germany.